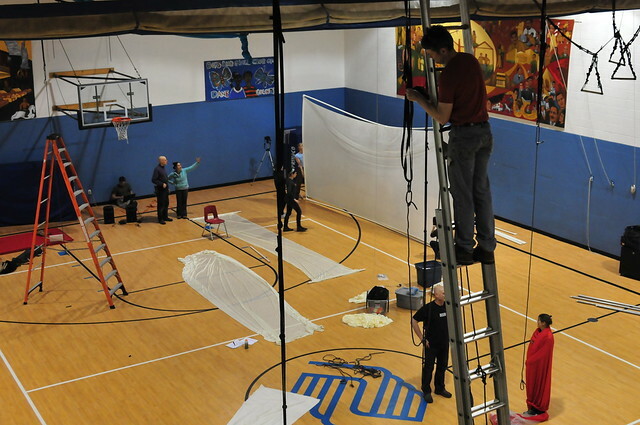 Yesterday we commenced creating the stage at the Boys and Girls club, the venue for Cycropia's imminent aerial dance performance. 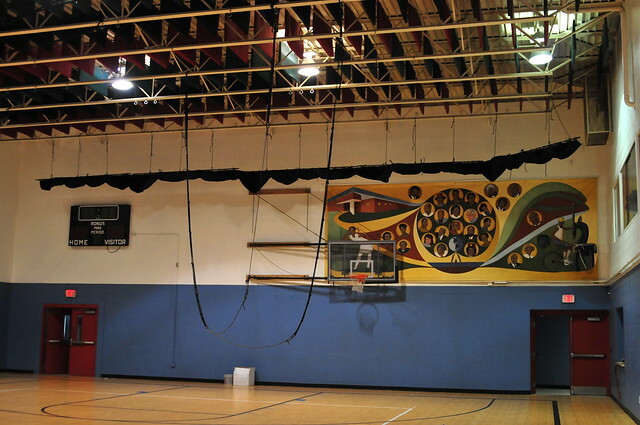 It is a lot of work to transform a gymnasium into an attractive stage. 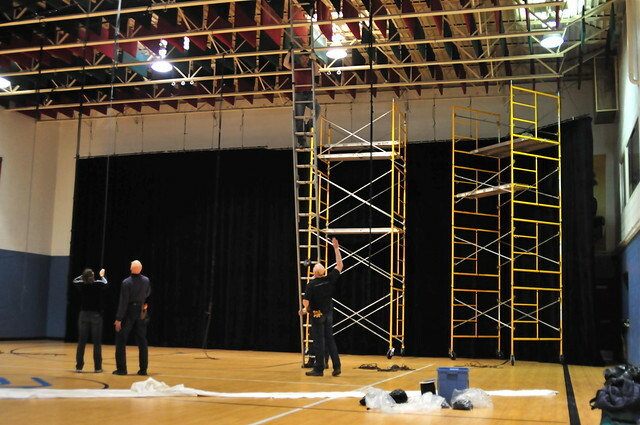 We started with the stage itself, getting large velvet panels hung to make a stage back. The ceiling is 24 feet or so, making the process slow. Other tasks were done to set the stage, but we are not done. Since this is not a dedicated performance space, but rather a gymnasium that serves area youths, we have to fly all our setup to get it out of the way of daytime programing at the club. Tonight we rig and wire the lighting. Rehearsals are all but over. Our tech and dress rehearsal is next, and then IT IS SHOW TIME! The performances are Thursday and Friday at 7:00 PM, and Saturday at 2:00 and 7:30 PM. Only four performances, so make sure you catch us while you can! 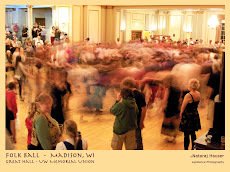 Here is the link to the show site for detailed information. These photos, and a small group of rehearsal photos are in a SLIDE SHOW for your enjoyment.